The key to the success of a website is knowledge. Knowing where visitors to your website come from and what they are doing on your website is essential for making your online marketing work for you. Google has the answer in Google Analytics. 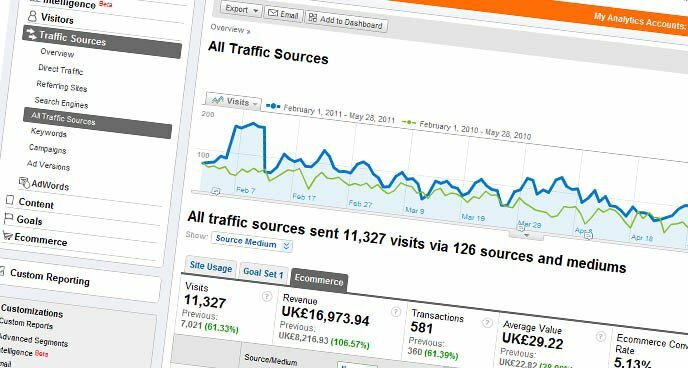 Google Analytics is a system that can be integrated with your website to monitor pretty much every aspect of activity on your website. We work with customers and web developers alike to ensure that Google Analytics is installed correctly and as early as possible in the life of a website, so that we can start using the data gathered to help form a strategy for the ongoing development and promotion of the website. We have been working with Google Analytics since its release in late 2005 and have a wealth of experience in it’s application across a variety of industries and types of website. Rob (Niddocks’ MD) obtained one of the UK’s first Google Analytics Individual Qualifications in March 2009.